Whether you’re a novice trader or seasoned pro, start your day off right with RCG Daily Technical Spotlight futures commentary. Produced by futures market analyst Jim Wyckoff, the Daily Technical Spotlight provides you with insight on several markets for the trading day ahead. 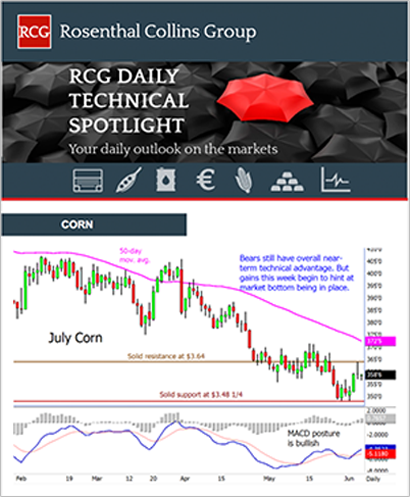 Be an informed trader, get the next RCG Daily Technical Spotlight FREE!